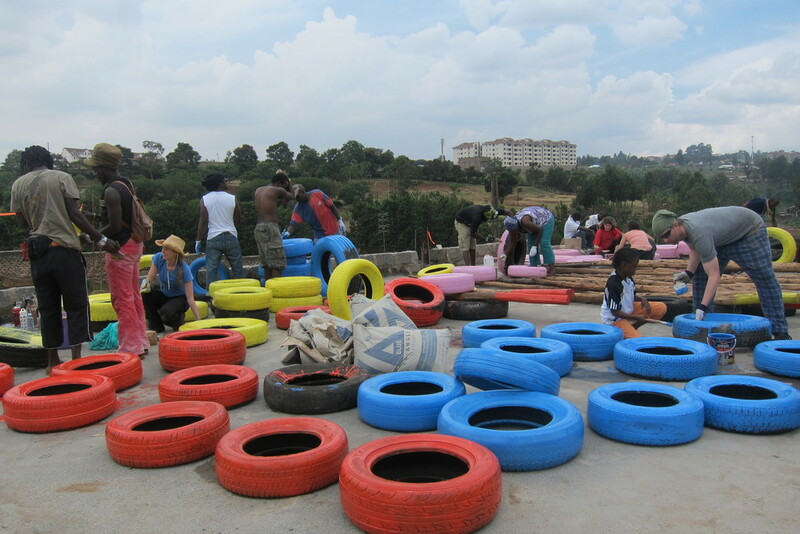 Announcing a new first for SHOFCO – we now have a playground on the roof of the Kibera School for Girls! 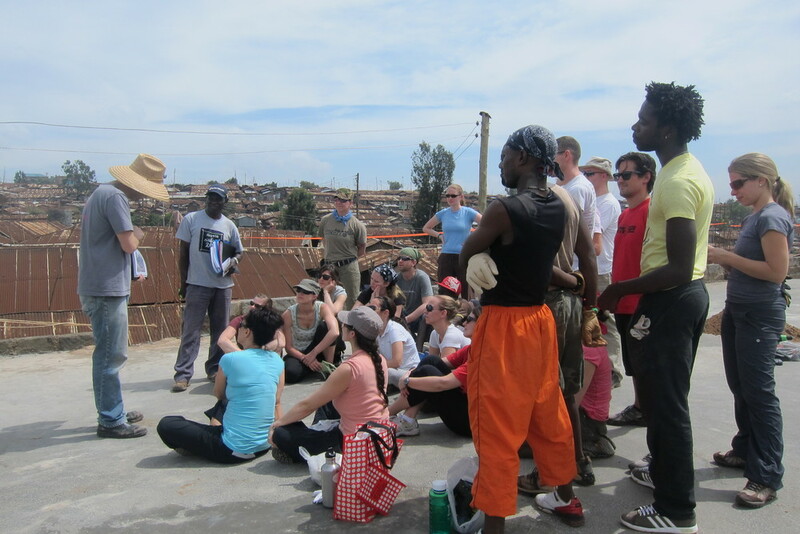 Participants on a service trip organized by Africa Yoga Project spent five days in Kibera at Shining Hope for Communities building a playground for KSG, a community toilet, and new furniture for the school. AYP’s service trip is aptly called Seva Safari – seva means selfless service in Sanskrit, and safari means journey in Kiswahili. AYP’s Seva Safari brings individuals from the US and Canada to Kenya to practice yoga, visit AYP’s projects throughout Nairobi, and engage in a service project. We are lucky enough to partner with AYP, whose amazing instructors teach yoga once a week at KSG. Last year, AYP’s Seva Safari participants built Shining Hope’s new community centre. The project was such a success that AYP chose to come back to Shining Hope again this year. In order to build a playground in Kibera, AYP engaged the help of Playground Ideas, a nonprofit that assists underserved communities in building safe, beautiful playgrounds from locally sourced materials. Their focus on a child’s right to play is one that resonates deeply with Shining Hope; we see development through play as an important part of a child’s overall growth. Shining Hope is so grateful to AYP, Seva Safari participants, and Playground Ideas for the amazing gift they have given the current and future students at KSG. The positive energy, enthusiasm, and dedication of these volunteers has been palpable – how else could they have built a beautiful playground in just five days? A big thank you to everyone involved!